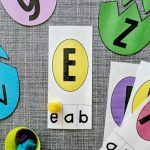 Egg Hunt Short Vowel Activity - FREE Easter Printable for Kindergarten! Egg hunts are always a kid favorite this time of year. 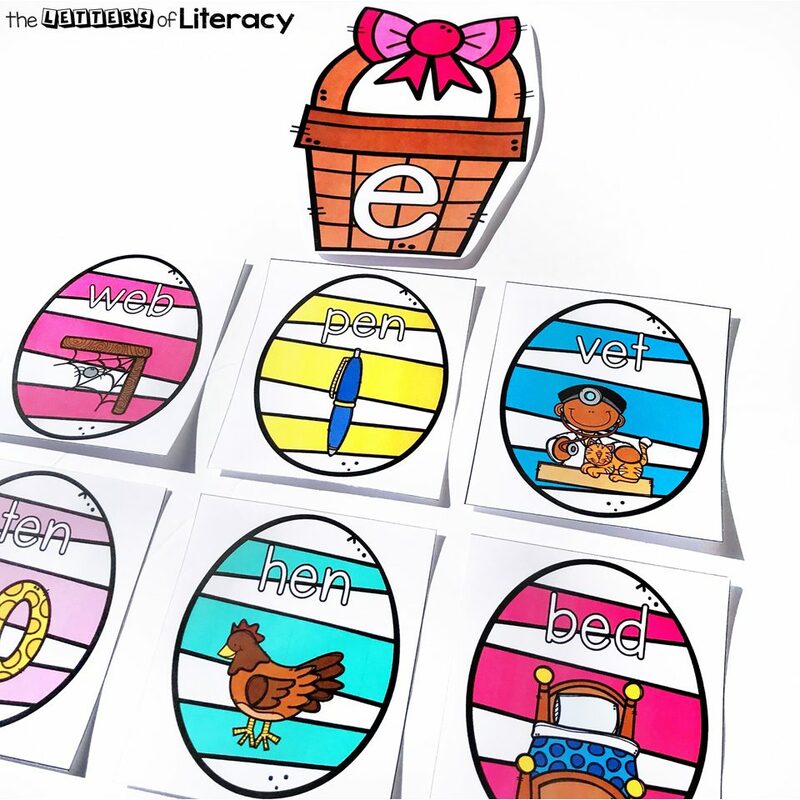 Here is a fun Egg Hunt Short Vowel Activity for your students! 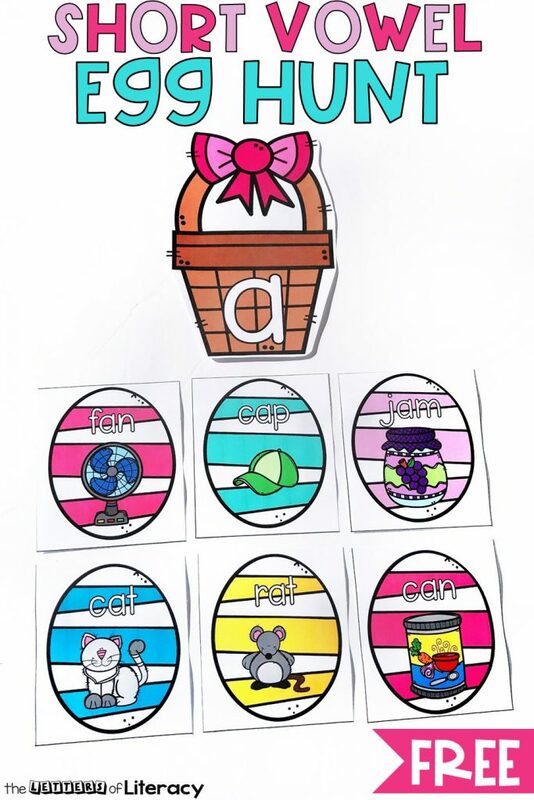 Each egg has a simple word and picture clue for your beginning readers. *Pair with our Easter Centers & Activities for Pre-K/Kindergarten! You can use this activity a couple of different ways. 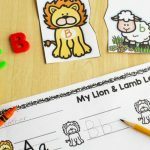 This easy-prep activity is perfect in small groups or for independent practice! 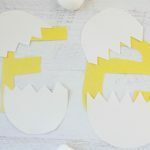 It’s perfect to use it as an egg hunt, where students search for the eggs like a “read and write the room” activity, or you can use it as a small group sort. Students can also use it both ways, by doing the egg hunt first, then sorting the eggs after. 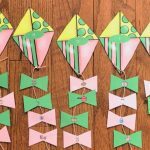 The prep for this activity is quick and easy. I recommend printing your baskets and eggs on card stock and laminating for added durability. Then simply cut them apart. I used a paper slicer to make it even faster. If you are using the game as an egg hunt, simply tape the words at various heights around the room. Some fun hiding places can be the backs of chairs, sides of cubbies, or on the front of the teacher’s desk. Keep them visible, but in a variety of locations. Then print out a recording sheet for each child, and give them a pencil and clipboard to write on. Before letting them begin, model how to do the egg hunt. Search for an egg, then read it aloud. 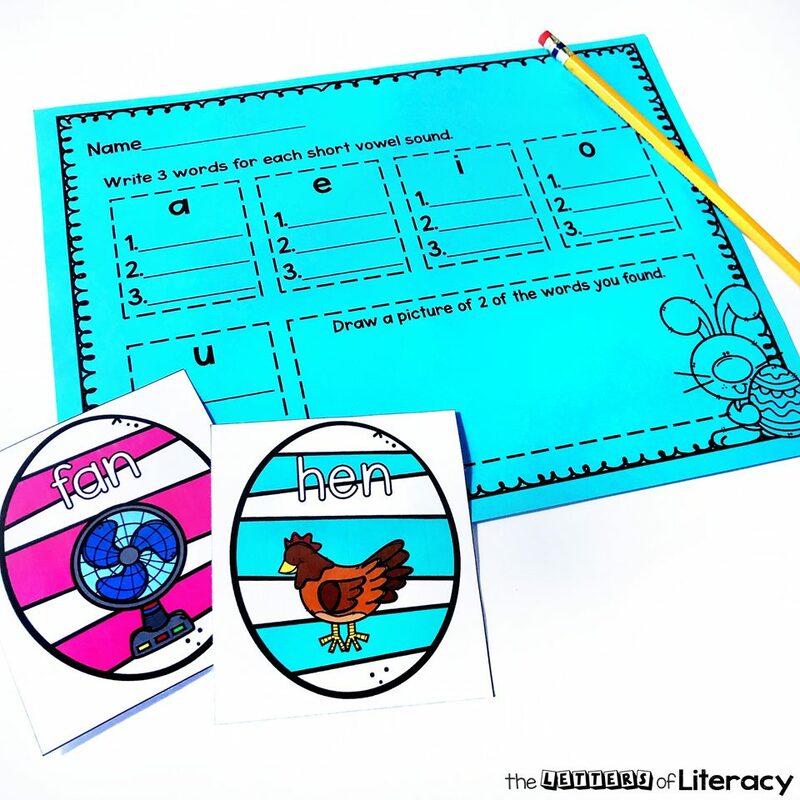 Now go through the process out loud about how you determine which vowel to write it under. Repeat with a few more words until you feel that your class understands the expectations of the activity. While they are searching, walk around and have students read the words out loud to you to quickly check for understanding. 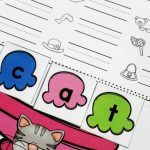 This activity is also a wonderful word and picture sort for beginning readers. 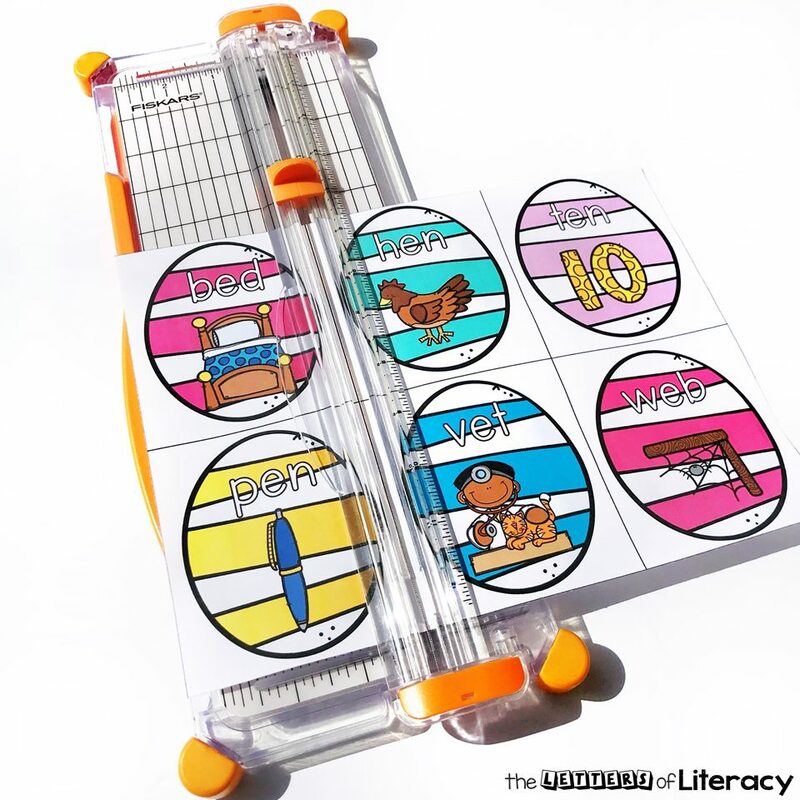 Just lay out the baskets, and have students read each word then determine which vowel the word has. Place the word under the correct basket. There are 6 words for each of the vowels. You can differentiate by only sorting 2-3 vowels at a time. 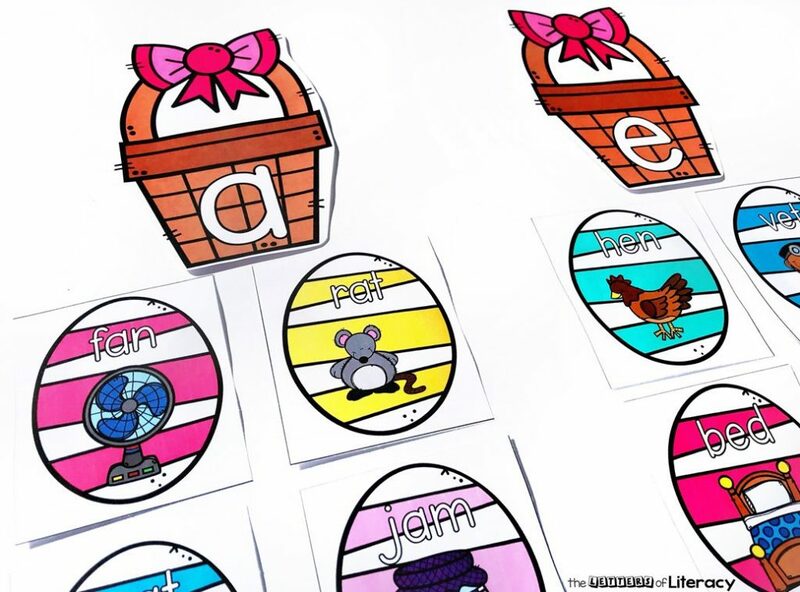 For example: Just lay out the “a” and “e” baskets. 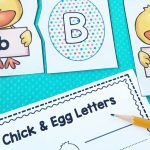 Then only have the egg cards for the short a and short e sounds. This will make it less overwhelming for beginning readers. 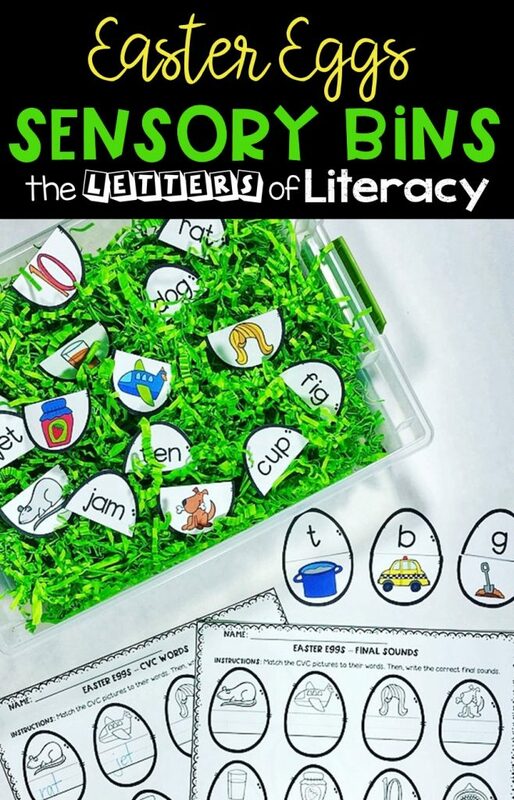 Are you ready to start practicing short vowel sounds in your classroom literacy center? Then, click on the large, blue DOWNLOAD HERE button below! 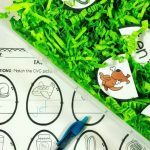 Then, hop on over to see our Easter Sensory Bin for CVC Words + Printables! Is there a version of the egg hunt without the words written on the eggs? Thanks for all the great products.